With Christmas fast approaching, parents are starting to turn their minds towards what they will buy their children for December 25 and what better present to make your children look and feel good than a pair of shoes. Stocking leading brands Start Rite (fitted shoe brand ), Geox, Superfit, Ricosta, Ecco, Froddo, Converse, Lelli Kelly, wellingtons, and slippers, Perfect Fit opened in 2005 as a children's shoe shop by Michael and Louise O'Dea, after they spotted a niche in the market for top quality childrens shoes while shoe shopping with their two young children. Perfect Fit provides a full measuring and fitting service for children and all of its friendly staff are fully trained and have many years of experience to ensure all of your children's footwear needs are met. 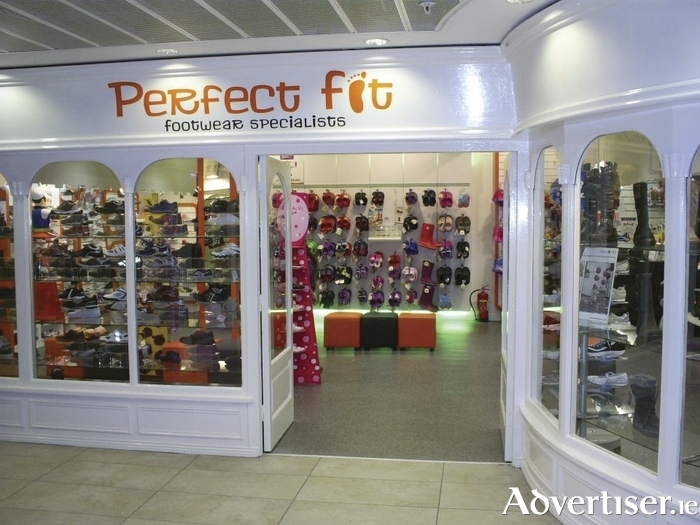 Renowned as Galway's premier children's shoe shop, Perfect Fit now stocks a range of ladies' footwear as well as a Croc shop in store, catering men's, ladies', and children's Crocs. Located in Corbett Court Shopping Centre, Perfect Fit is open seven days a week, from 9.30am to 5pm Monday to Saturday and Sunday 12 noon to 6pm. For more information contact 091 569811, email [email protected] or call into Perfect Fit, Corbett Court Shopping Centre, Williamsgate Street, Galway.